The Dutch electronics group managed to grow underlying earnings more than expected. But while Philips is on course to spin off its lighting business, group like-for-like sales grew just 2 pct and CEO Frans van Houten is lukewarm on 2016. Rivals are unlikely to fare any better. Shares in Philips rose in morning trading on Jan. 26 after the Dutch conglomerate reported a quarterly performance that beat expectations. Philips made 842 million euros of adjusted earnings before interest, tax and amortisation in the fourth quarter, after stripping out costs for restructuring and pension derisking. Analysts polled by Thomson Reuters had forecast a figure of 799 million euros. Overall, it made a net loss of 39 million euros in the three months to December. 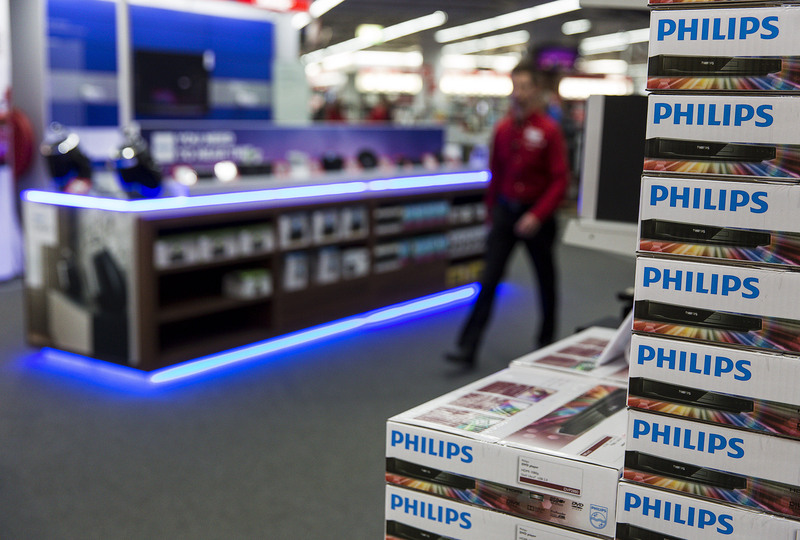 Comparable sales increased by 2 percent to 7.1 billion euros, Philips said. Chief Executive Frans van Houten said in a statement that the company expects “modest comparable sales growth” this year. By 0850 GMT, Philips’ shares were trading at 23.93 euros, up 5.3 percent from the previous day’s close.